It took nineteenth months for the first readers of Dickens’ Little Dorrit to get to the end of the story. Fortunately I don’t have to wait a month for the next instalment but even so this is not a book that can be read quickly, nor do I really want to since I’m enjoying it so much. It’s a relief after trying and failing miserably to read two other Dickens novels that are also on my Classics Club list (namely Tale of Two Cities and Bleak House). Dickens has been in and out of favour many times since the 1840s. F R Leavis even left him out of The Great Tradition, his 1948 seminal work examining the works of authors he considered the greatest of English writers. He didn’t rectify the omission until 197o when he published Dickens the Novelist. One frequent criticism levied at Dickens is that was he created stereotypes rather than fully rounded characters; another is that all his plots really come down to the same thing: ‘love and be loved’; George Orwell complained that even Dickens’ much vaunted social criticism was over-rated since he never offered any real solutions to the problems he highlighted. There’s a degree of truth in all those complaints but for me they overlook two things — one is that this is an author who is a master of the complex plot. He can be verbose sometimes especially when he wants to have a rant at a social injustice or when he gets carried away with his descriptive powers. But he assuredly knows how to tell a good story; one that makes you want to keep reading if only to find out what happens next. And secondly, this guy has a superb ear for patterns of speech, using them to create characters that may not be fully formed but are so wonderfully larger than life , they linger in the memory well after the book is closed. In Little Dorrit, we have some fine examples. There’s the French murderer Rigaud, whose evil eye makes others tremble and the downtrodden servant Affery Flintwinch whose very odd dreams give clues to some of the nasty secrets in her mistress’s house. But the prize for the most comic character of all goes to Flora Finching, a gone to seed widow who mistakenly believes she is still a young, and highly attractive young girl and who simply cannot shut up. To hear her stream of consciousness speeches is to experience the verbal equivalent of the Japanese Bullet train. Phew. I’m glad I don’t have to share my home with her………..
Posted on February 24, 2013, in Classics Club, Sunday Salon and tagged Charles Dickens, Classics Club, Little Dorrit, Sunday Salon. Bookmark the permalink. 10 Comments. Glad you’re enjoying that Jessica. We’ll see what you think of the ending……..
I’m currently reading my third Dickens’s novel Great Expectations and really enjoying it so far. 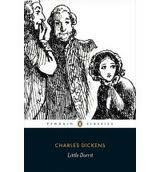 I have to agree what I love the most about Dickens is his larger than life characters that are just so memorable! One day I will get to read Tomalin’s book but until then I’ll watch for your comments. I chose Dorrit because I’ve already read most of his books so all I have left is Bleak House which I am struggling to get to enjoy apart from the superb descriptions of fog, Our Mutual Friend and the Old curiosity shop. Any ideas what yiu might choose Alex? I have a copy of A Tale of Two Cities I’d like to tackle and I’m toying with the idea of David Copperfield being the contrasting book as there’s autobiographical elements in that so it’d be interesting to read after the biography. I plan to go on and read them all but think two as a taster plus the biography is a decent starting point this year. They would certainly be contrasts Alex. Another one to consider is Dombey and Son which would show D as a social reformer. It has some wonderful polemic about industrialisation and the effect on the environment and people plus he takes a pop at the people who live to make money. I’ve been reading a bit of Dickens everyday since the beginning of the year. I feel like it took me the first three weeks to accustom myself to his style. He is a meanderer. His stories are the furthest thing from tightly plotted or concise, so to the modern reader, it feels like he is going nowhere. I have gotten past my modern expectations, and can enjoy his storytelling. But it took a while. Some of them are more meandering than others. Which ones are you reading Christine. I found Great Expectations one of the least convoluted. I’m just tired reading that. I failed reading A Tale of Two Cities at the beginning of this year. I just couldn’t get into it. I’ll have to try another of his at another time. I tried that one three times over the years and came to a halt at the same point pretty much each time. It’s not representative of his work though so well worth trying a different title.